With Lebanon’s most powerful political parties funded and often directed by regional powers, the country has for decades been affected by events in the Middle East. But extraordinary chaos is exploding around the tiny Mediterranean state and Lebanon’s leaders have tried to isolate themselves as best they can. The result has been a near complete shutdown of Lebanese political life. The stalemate is choking a democracy that appears imperfect but has allowed for a civil society that thrives in a way not seen in other Arab countries. Citing fears that the security situation in Lebanon is too fragile to hold elections, parliamentarians last week decided to extend their term for a second time, effectively doubling their constitutionally decreed four years in parliament. Meanwhile, the presidency — which is elected by MPs — has been vacant for five months, and for most of last year there was also no cabinet. “The extension of the parliament mandate pushes Lebanon one step further away from reform, while also exposing the bankruptcy and paralysis of our political system,” Sami Atallah, executive director of the Lebanese Center for Policy Studies said in an commentary published this week. Lebanese rivalries mirror competition between regional states, notably Shi’ite Muslim Iran and Sunni Saudi Arabia, which wield decisive influence over Lebanese politics. 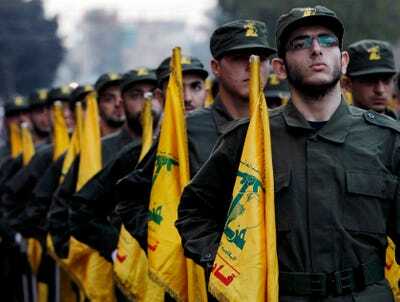 Powerful Shi’ite Hezbollah leads one bloc while Sunnis under former prime minister Saad al-Hariri lead the other. Christians, guaranteed the presidency, are divided. With Iran and Saudi Arabia supporting opposing sides of the Syrian civil war, the past three years have seen regional enmity rise followed by a crisis in Lebanese politics 25 years after an agreement to end its own 15-year civil war. Hussein Malla/APIn this Nov. 12, 2010 file photo, Hezbollah fighters hold their party flags, as they parade during the opening of new cemetery for colleagues who died in fighting against Israel, in a southern suburb of Beirut, Lebanon. Without regional rapprochement, politics in Lebanon has frozen with parties unable to make agreements beyond keeping the country running, just about. The sectarian balance of power in Lebanon has prevented hegemony by one party and allowed a vocal civil society to flourish. But aspiring politicians and activists say they are now unable to push through any change. Mark Daou, a 35-year-old independent candidate, was canvassing in his district of 120,000 voters in early 2013 to run for parliament. Now he’ll wait until 2017. “The extension is a disaster … The entire existence of the state is being delegitimized simply by not allowing citizens of Lebanon to express their opinions in the poll,” he said. His frustration was matched by protesters who threw tomatoes at convoys of MPs as they arrived at parliament to vote to extend their rule. “No extension” is graffitied across Beirut. Sami Baroudi, a political analyst at the Lebanese American University in Beirut, says that the influence of regional players on Lebanese politicians is marginalizing the state. Tourism and investment have dropped. The stalemate has hampered efforts to tackle public debt, exploit potential off-shore gas reserves and improve crumbling infrastructure. 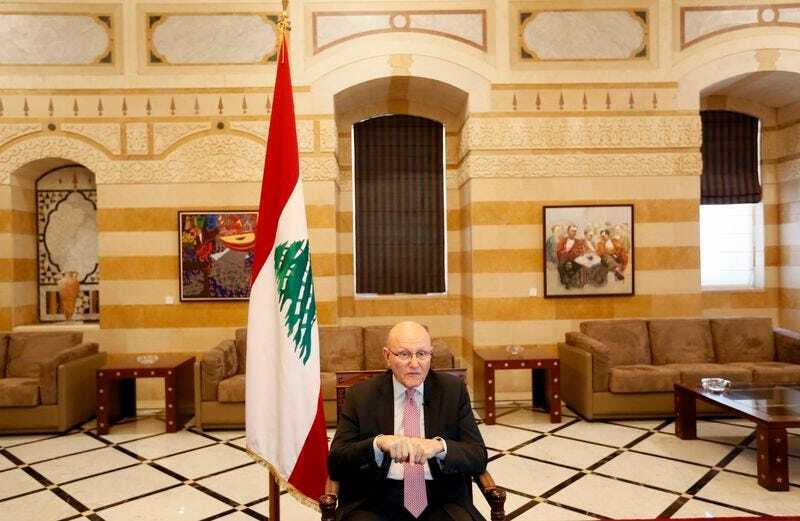 A government formed in February with Saudi-Iranian blessing has spared Lebanon from complete vacuum. But it has struggled to take even basic decisions and politicians say the two powers are unwilling to forge a similar consensus for the presidency. Fifteen parliamentary sessions called since May to appoint a president have failed. Breaking the political deadlock will likely require regional states to broker an agreement similar to one concluded in Qatar in 2008 that resulted in parliament electing former army commander Michel Suleiman as head of state. The country is experiencing some of its worst sectarian violence in years. On-off fighting rages in the coastal city of Tripoli and Sunni Muslim gunmen briefly took over the north eastern town of Arsal this summer. Raed Bou Hamdan, a young member of the mainly Druze Progressive Socialist Party (PSP), said his party voted for the extension because it was the lesser of two evils. Moving ahead to parliamentary elections without first appointing a president would break Lebanon’s delicate sectarian power balance and could cause further violence, he said.